← Tech Talk: What’s On Your Phone, MAM Staff? It’s not news that the ArtXpress program has a lasting presence. 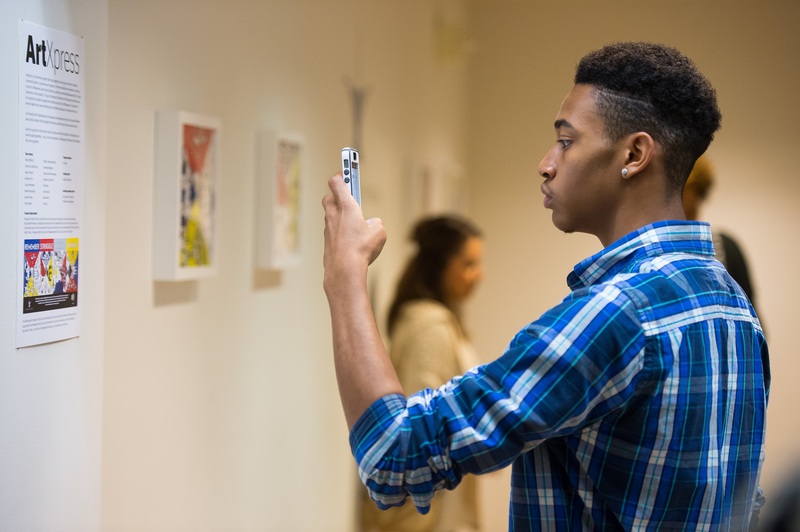 ArtXpress is a teen program in which students create a mural inspired by the feature exhibition that positively addresses an issue in the city of Milwaukee. 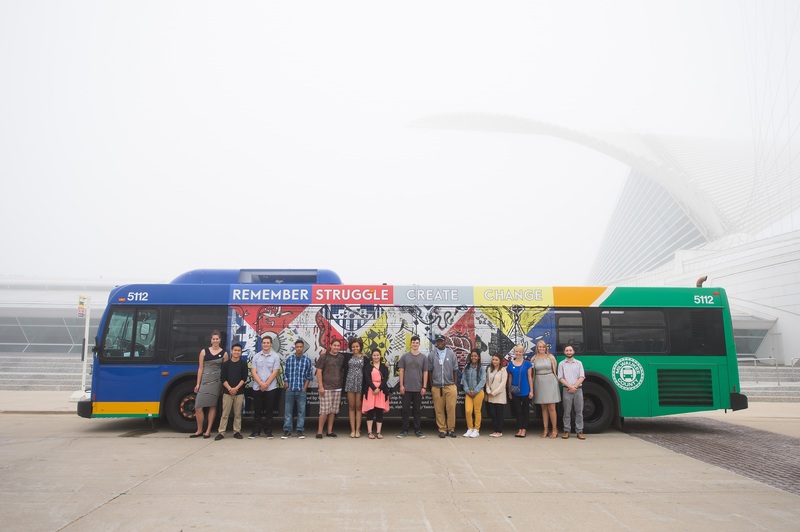 That mural is displayed not only in the Museum, but also on the side of a Milwaukee County Transit System bus for about a year. 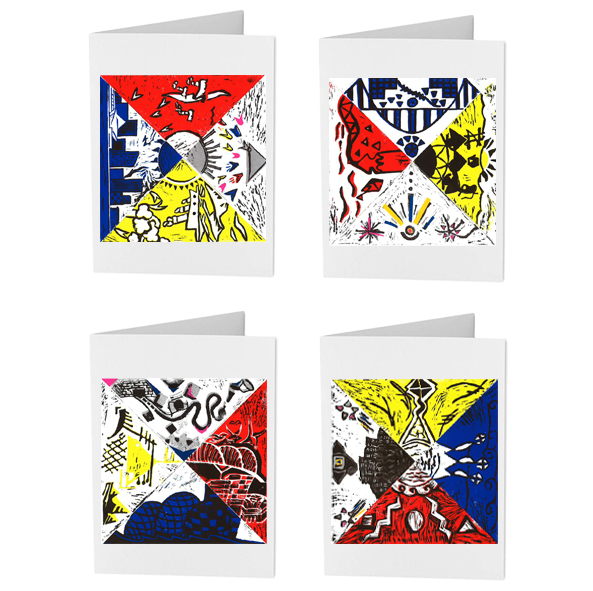 ArtXpress Notecard Set. 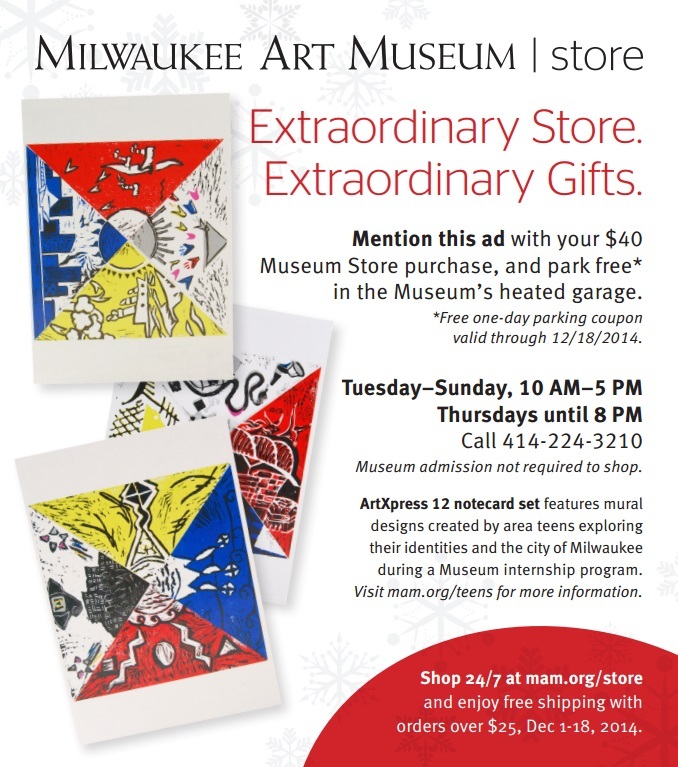 Photo by Milwaukee Art Museum Store[/caption]But over the summer, I had a chance hallway meeting with Donele Pettit-Mieding, the Museum Store Marketing Manager, which ensured that the mural would have a totally different kind of long-lasting impact. I was telling Donele about the program and she suggested the teens’ artwork could be featured as a notecard set to sell in the Store, especially around the holiday season. I loved the idea–to have their work live on in a totally new way was really exciting to the students, and moreover, the teens’ four murals were perfect for a set of notecards. Donele and the Store team worked hard to print up a first run of the set before the program celebration in late August so that each of the students could take one home for free. Last week, they ran a beautiful ad featuring the notecard set, which you can see below. I thought this was a great time to share the teens’ work on the blog, as well as thank the Museum Store for highlighting the students’ work! Personally, I’ll be buying a few sets on one of the Member Double Discount Days and will be using them for holiday greeting cards this year! If you’re interested, you can stop into the store or online and get a set, too. Here’s to more future cross-departmental collaborations! This entry was posted in Behind the Scenes, Education, Museum Store and tagged artxpress, bus mural, collaboration, Museum Store, Teen Programs. Bookmark the permalink.